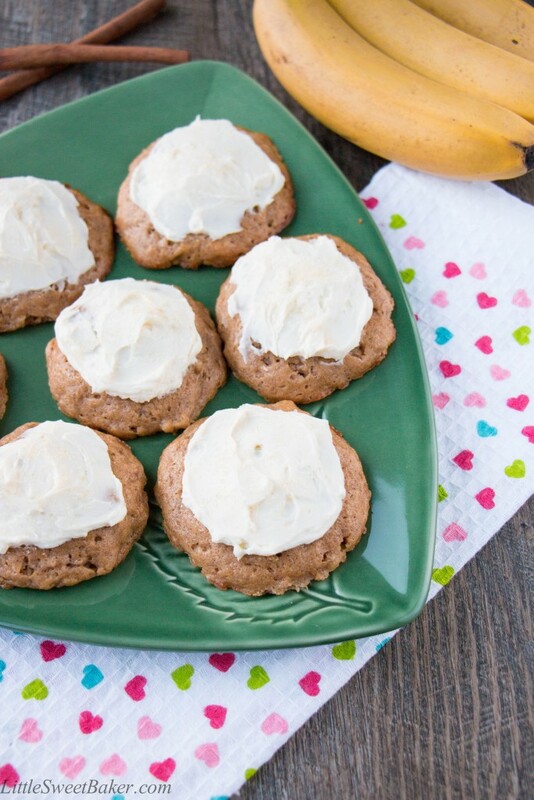 These superb cake-like banana nut cookies are topped with a sweet and tangy cream cheese frosting. They are also flavored with cinnamon, nutmeg, and sweetened with brown sugar. I used to love making these cookies when I was a kid, and I still do. They are a great way to use up overripe bananas, and they have all the taste of banana bread, but only take a fraction of the time to bake. I usually make them plain, but this time I decided to jazz them up with a simple cream cheese frosting, and a little sprinkle of turbinado sugar to make them more decadent. 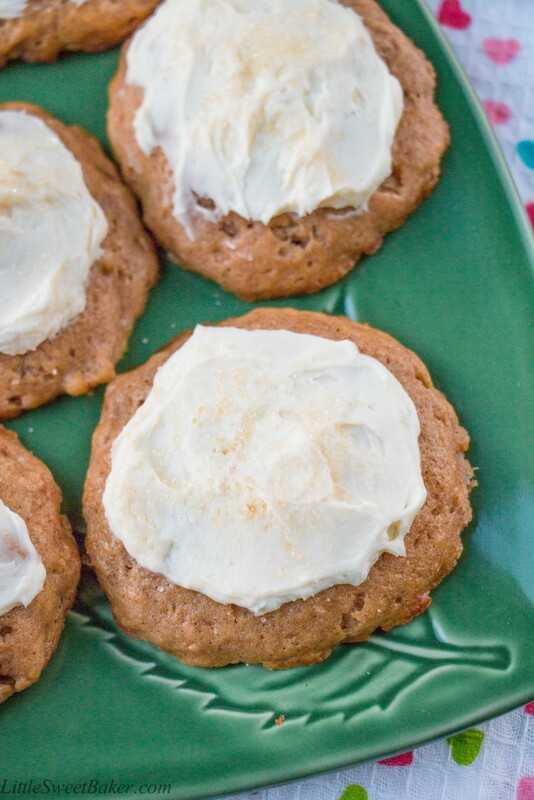 These cookies are soft, fruity, nutty, and have a hint of brown sugar spice. 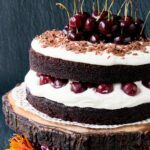 Enjoy them plain for a healthier choice or topped with a delicious cream cheese frosting for an added smooth and creamy texture. 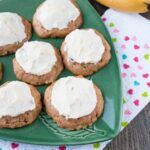 These superb cake-like banana nut cookies are topped with a sweet and tangy cream cheese frosting. Preheat oven to 350F and line your baking sheets with parchment paper. In a large bowl, beat butter, brown sugar, eggs and vanilla until light and fluffy. Mix in bananas, cinnamon and nutmeg. Add flour, baking powder, baking soda, beat until blended. Stir in walnuts. Dough will be sticky. Using a medium cookie scoop or tablespoons, drop rounded cookie dough 2″ apart onto prepared baking sheets. Bake for 12-14 minutes or until edges start to brown. Remove cookies from baking sheets and cool on racks. Beat cream cheese and powdered sugar together until smooth. Feel free to add more powdered sugar if needed to suit your taste. Spread on completely cooled cookies and sprinkle with some coarse sugar if desired. Cookies can be stored in the refrigerator in an airtight container for 2-3 days. 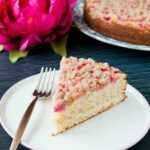 I will be sharing this recipe at Fiesta Friday #102, hosted by Angie@TheNoviceGardener, co-hosted by Elaine@FoodBod and Julie@HostessAtHeart.